For Joyce and Choi, love is indeed sweeter the second time around. 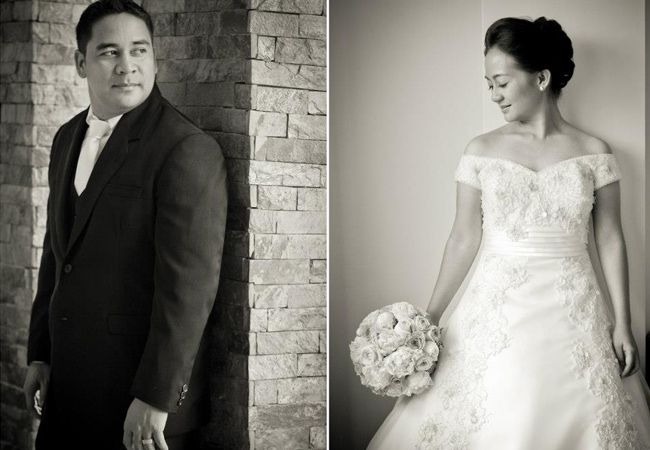 Last December 8, 2012, their fate was sealed in the eyes of God at the Colegio de San Agustin Bacolod Chapel. Joyce Gonzaga and Lorenzo “Choi” Solinap II first met at a basketball court in Bacolod where Choi was a supervising coach in a local league. Though they knew each other from school, they never really spoke to each other until they were introduced. On Joyce’s 28th birthday, Choi proposed with a big diamond ring and she answered a resounding yes! This was the beginning of their journey towards planning their dream wedding. 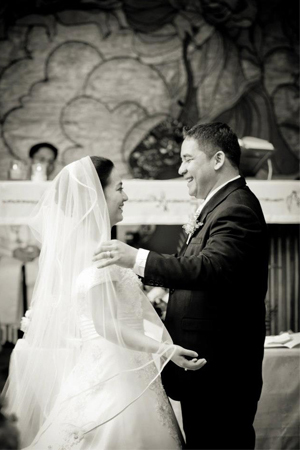 To help them with the wedding planning, Joyce hired a Bacolod wedding coordinator who could guide her throughout the planning. Choi, on the other hand, supported Joyce in every step of the way. She was a very hands-on bride. She wanted everything organized and the first thing she did for her wedding was to have a master checklist. 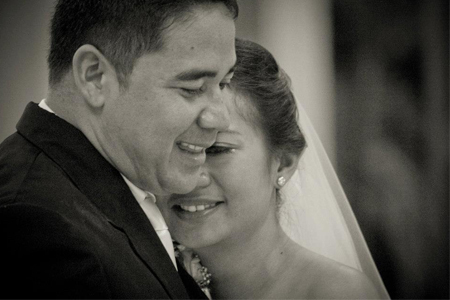 Joyce enjoyed the Bacolod wedding planning but the wedding budget was her biggest challenge. The picture perfect dream wedding comes with a price and she had to pull off a wedding that they will cherish forever. Budget was also tight because they were building their house along with their wedding preparations. To solve their wedding budget problems, Joyce and Choi worked double time in their business. They also sought the help of their close principal sponsors for advanced wedding gifts. But in the end, the very essence of their wedding was the covenant they made before the eyes of God. A perfect wedding would be great but what lies after the wedding is the cream-cheese filling of it all. After browsing through numerous inspiration boards, Joyce and Choi found their wedding theme – Timeless Elegance. They chose a classic, timeless theme so that their children and grandchildren can forever appreciate their beautiful wedding. To achieve the classic and timeless wedding theme, Joyce and Choi incorporated hues of pink and neutrals like champagne, cream, beige and ivory. All details had to be clean and elegant. For this, Joy researched and created several inspiration boards that helped her conceptualize and decide on her wedding details. Joyce is especially thankful for her Bacolod wedding suppliers including SKT Digital Productions video team and Fashionline by Kelly Cuachon’s hair and makeup team. Joyce and Choi had the right love at the right time and in the right place. It was a love simply perfect for a wedding with timeless elegance.